Nations Press feature news RECORD: 3000 Drug users surrender,oath to end use of illegal drugs-Must Read! RECORD: 3000 Drug users surrender,oath to end use of illegal drugs-Must Read! Incoming Department of the Interior and Local Government (DILG) Secretary Mike Sueno has confirmed that almost 3000 drug dependents voluntarily surrendered and took an oath of promise to stop the use of drugs in the town of Sultan Kudarat. In an interview, Sueno said that the drug dependents who submitted themselves took an oath of promise in front of some government officials to stop the use of drugs. 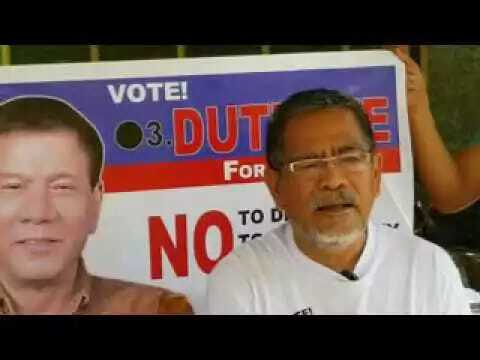 In a report, the incoming DILG chief said that he was invited by Sultan Kudarat Gov. Pax Mangudadato to witness the ceremony. The secretary also called for the public’s participation in the drive and campaigns against drug abuse in the country. He emphasized that Duterte is committed to eradicate drugs which is linked to criminality in the country as soon as possible. Duterte, who won on a positive change campaign narrative, earlier promised to achieve a drug-free country in three to six months of his term.